Instead of resorting to my usual plaid scarves this year, I thought I’d try something different with two new unusual patterned scarves from Drake’s and Nigel Cabourn. 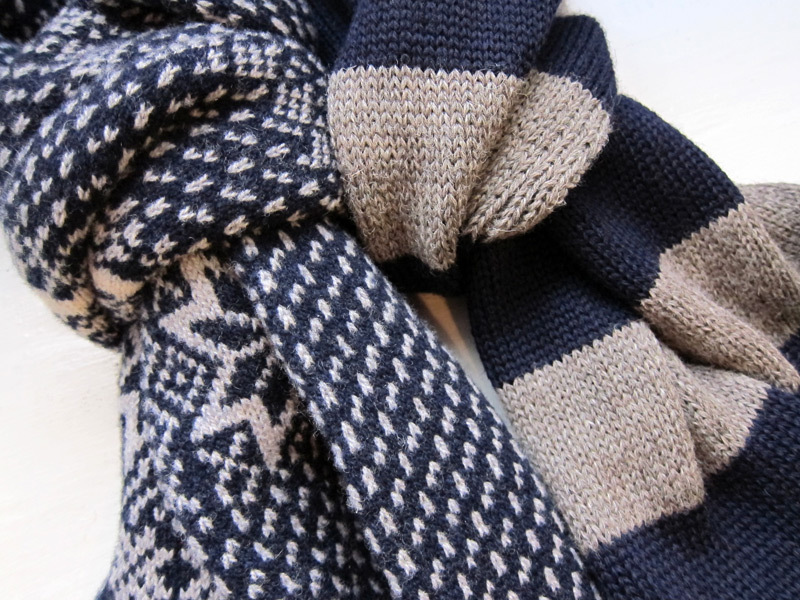 Arriving just in time for the lower temperatures, both are nicely knit and it’s easy to get great knots with each. Left – Drake’s snowflake patterned scarf. 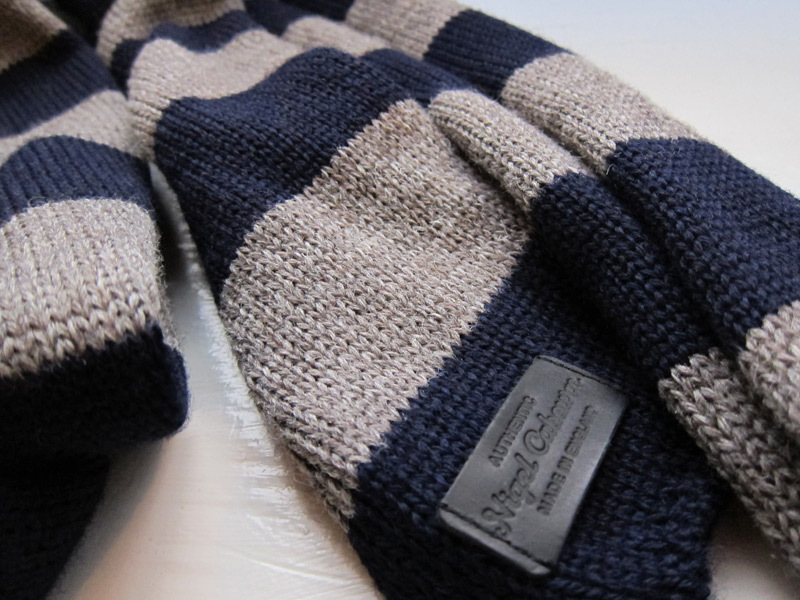 Right – Nigel Cabourn’s hooped scarf. 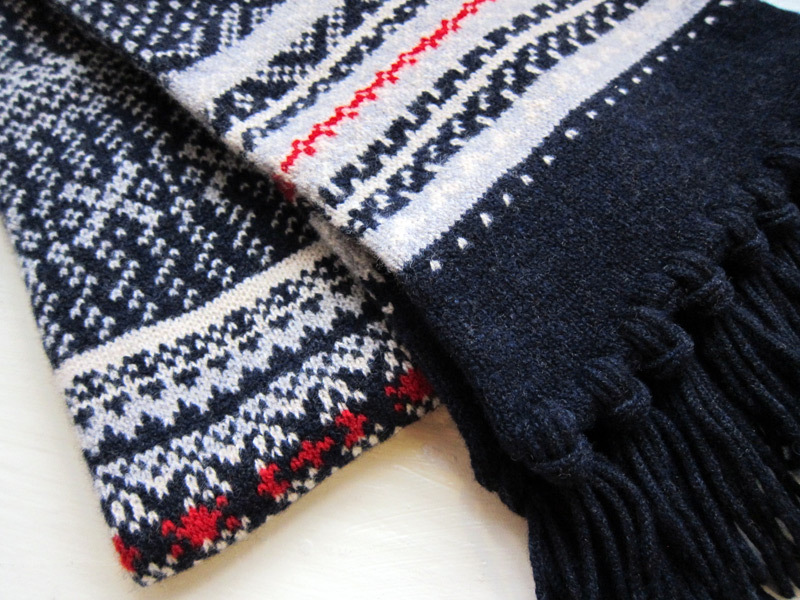 The snowflake patterned scarf from Drakes can be found through several online retailers – Mr. Porter, J.Crew (which also has the fair isle scarf), and Frans Boone (in the white/chalk base colorway). The hooped scarf from Nigel Cabourn came in a few different colorways this season and are still available through many stockists. Its construction is very basic as far as an old-fashioned knit scarf goes, and this gives it a tendency to roll inward (a feature to love or hate). The only detail I could have done without is the leather patch, which will soon be fixed with a seam ripper.